Detail of dress and apron. Work in progress: A1 pencil portrait on 300gms paper of my sister Jessica. Working from a photo I took over the Christmas holidays in 2011. Around 20 hours of drawing so far. 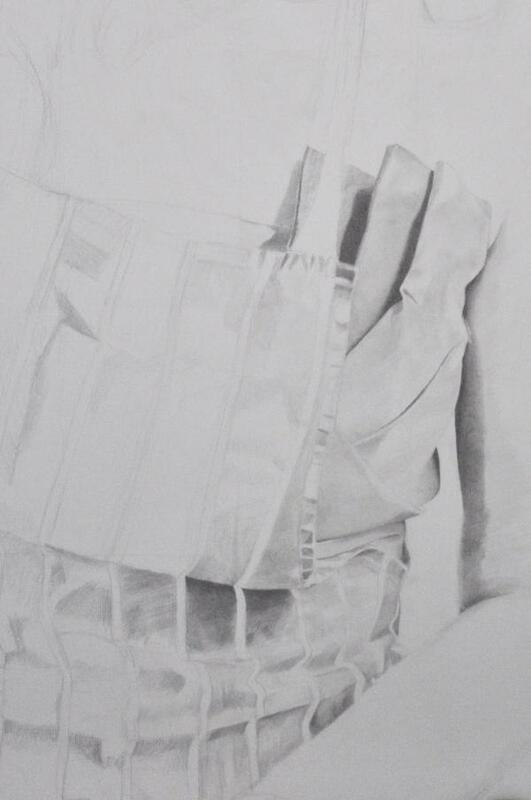 This Work, Detail - Pencil portrait progress: Jess in Apron - 20 hours , by Sam Haskell is licensed under a Creative Commons Attribution-NonCommercial-ShareAlike license.